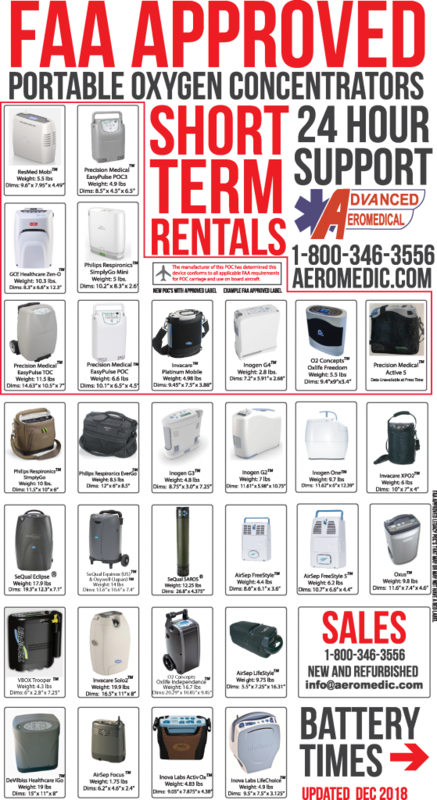 Advanced Aeromedical offers Short Term Rentals of FAA Approved Portable Oxygen Concentrators. This is our Portable Oxygen Concentrator Rental Process. For immediate assistance, call our office at 1-800-346-3556 or +1-757-481-1590. 24/7 Support. 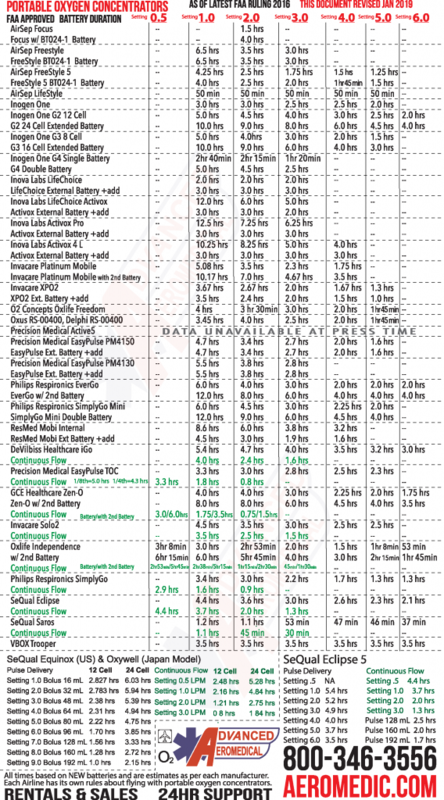 We need your travel details to help calculate how many batteries will be needed as per your specific airline’s requirements. Most airlines require 150% of the flight time to equal your battery time. Example a 4 hour flight would require 6 hours of battery time. 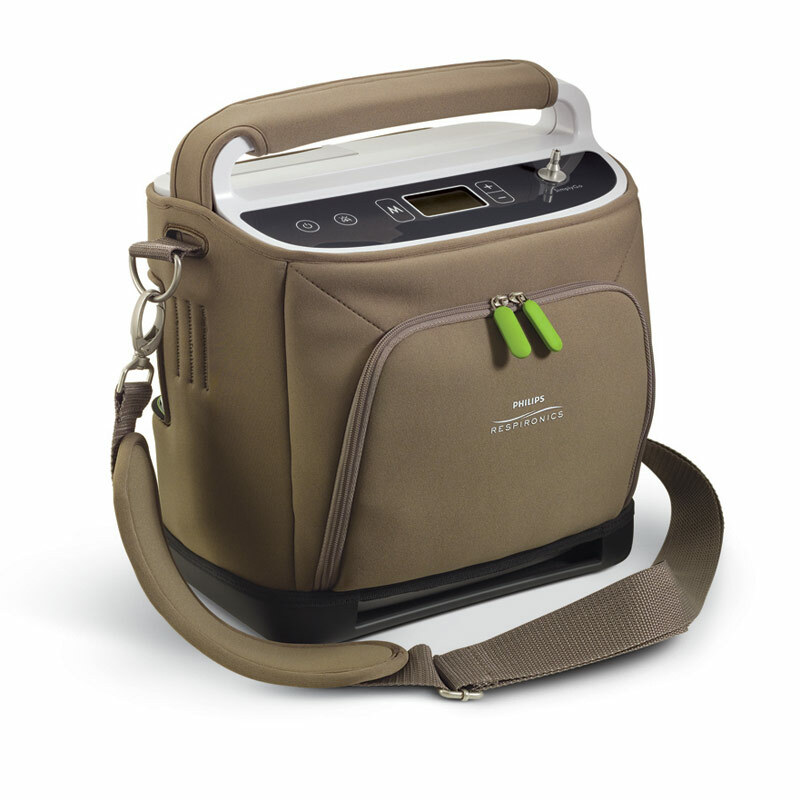 Each portable oxygen concentrator has different battery times at different settings. Some airlines will count any layover time as required battery time. Some airlines have rules like travel time +3 hours. Some airlines still require a “Physician Statement” or a “Battery Approval Request Form” to bring a POC on-board. 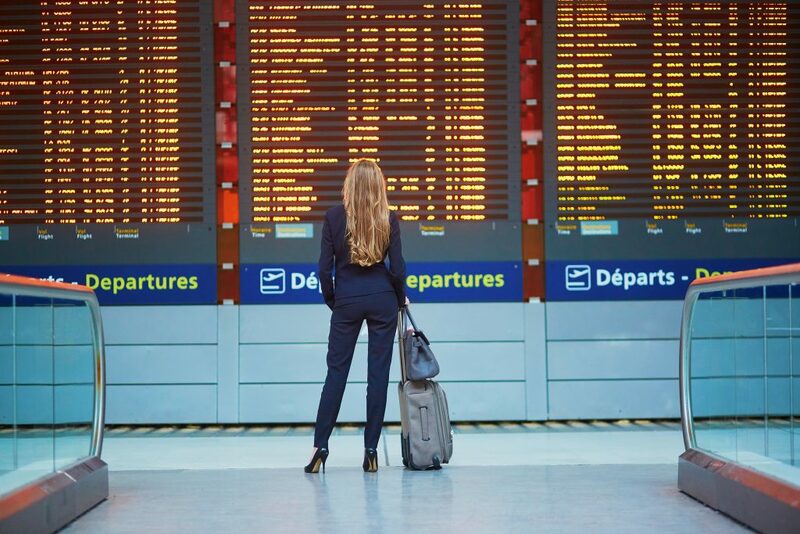 Call your airline or refer to your airlines website for up to date rules and regulations. Once we receive your travel information, we can create a rental agreement. It will state the equipment you are renting as well as confirming travel dates, where we are shipping the rented equipment to, and where it will be returned from. You are responsible for the rented equipment, however we do offer a Damage Protection program to protect your rental. This agreement is to be electronically signed via email on a computer or mobile device. After signing, you will be instructed to pay online securely. We accept all major credit cards. We do not bill any insurance companies or Medicare. We accept Care Credit (click here to learn more about 6 or 12 months, no-interest payments, via Care Credit). 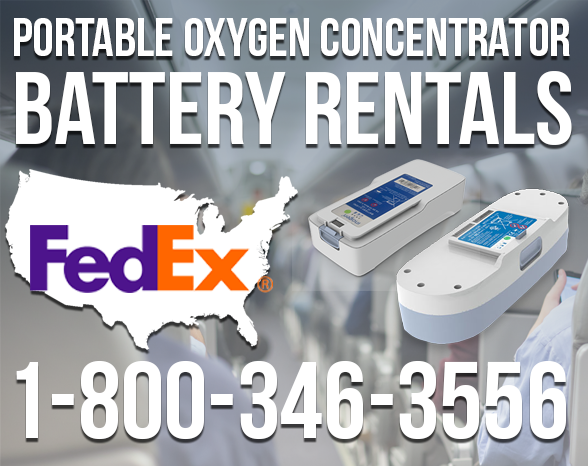 Your rented portable oxygen concentrator will arrive at least 2 business days prior to your travel, when available. We specialize in last minute requests, however call our office at 1-800-346-3556 for availability. 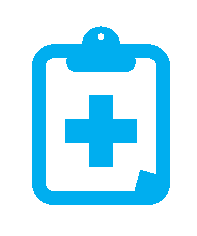 When your POC arrive, we are available 24/7 for immediate telephone instruction. The equipment is easy to operate and we are available for any questions you may have. 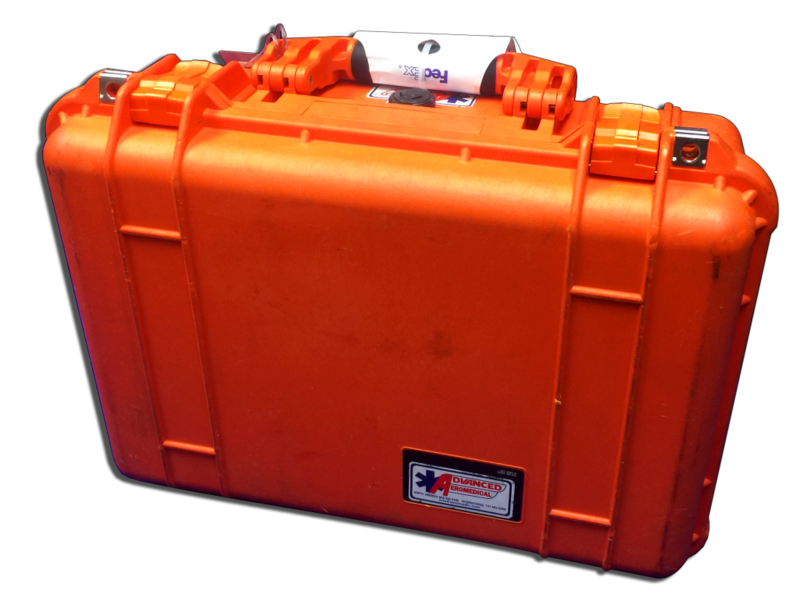 We will advise you how to plug the unit in and ensure your batteries are fully charged before boarding any aircraft. Ensure your batteries are fully charged before leaving for the airport. Use the provided car adapter that plugs into the cigarette lighter/12V plug of your vehicle on your way to the airport. This will help save your battery life for the plane ride. Plan on arriving at the airport an extra hour earlier than originally planned to allow for any delays at the check in or security. At check in or with any airport or airline staff, be sure to not call this equipment an “oxygen tank”. Oxygen tanks or oxygen cylinders are forbidden on any aircraft and are considered Hazardous, a federal fine is imposed for people that bring oxygen tanks on the plane. Oxygen tanks or cylinders are compressed air while a POC filters the air we breathe into concentrated therapeutic medical oxygen with a purity level at 90% +/ – 3%. Portable Oxygen Concentrators are allowed to go through the x-ray machine. TSA will perform a secondary screening if you do not wish to stop using the portable oxygen concentrator. At the boarding area, find an electrical outlet that is in operation to top-off your battery time prior to your flight. Most airlines will let you board the flight sooner because of special medical needs. Most airlines will not allow you to sit in an exit row with a POC. Many airlines restrict you to sit in a window seat. Your rented POC will fit underneath the seat in front of you. Be sure to have free flowing air around the machine. Do not block airflow of the unit with any additional bags or clothes. Use the POC until its battery is depleted. Change batteries as needed. You can only rely on battery power for the flight, do not rely on using any power outlets on the plane. For one-way trips we ask our clients to take the empty box with you and check as luggage, most airlines will not charge for this as it is part of your medical equipment. After completion of your rental, on the agreed upon return date, ship the equipment back to us. A return shipping label and box is included with your rental. It can be dropped off at any FedEx location or a pickup from your doorstep can be scheduled. Please provide your oxygen requirements and any Trip Details. Also, ask us any questions here.